A holiday house in the Algarve costs on average USD 976 in the cheap travel period and USD 1,815 in the peak season per week. These details are of course in relation to the house and not per person as well as includes the obligatory additional charges. Well today probably many Europeans would regard New Zealand as the end of the world. But that was quite different many hundreds of years ago and going all the way back to the 15th century many thought the cliffs of the Portuguese Algarve were the brink of our civilisation. The Algarve with its steep cliffs, beautiful bays and picturesque pine forests stretch out over a length of 230 kilometres. 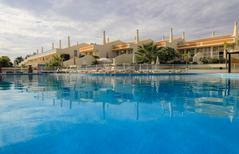 atraveo offers a choice of 1400 holiday apartments and houses in the Algarve region. The most popular holiday regions in the south of Portugal include the three provinces Faro, Albufeira and Portimão. The coast can be divided into the rocky western part and the flatter eastern part whilst the hinterland is characterized mainly by mountain ranges. 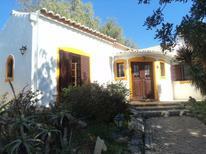 Many of the houses around the Algarve have a secluded setting with the estates enclosed. 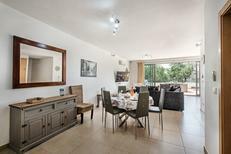 They usually have high quality furnished bedrooms and bathrooms as well as an own garden and swimming pool. The beach is generally in close proximity which will put you in the predicament whether to enjoy the sun at the pool or beach. ... these are the main ingredients that make the Algrave Portugal’s most popular holiday region. Situated on the south western part of the Iberian Peninsula the Algarve impresses with its beautiful landscapes. The western coast which is also called Barlavento stretches from Faro to Cabo de São Vicente near Sagres. 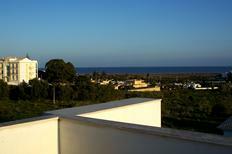 Here you can find some holiday houses that are situated right above the distinctive cliff coast. Small bays and beaches can be found at the foot of the up to 50 metre high red and yellow sandstone cliffs. Totally different but not less attractive is the eastern coast Sotavento which stretches from Faro to the Spanish border. Here you will be able to mainly find flat and wide sandy beaches. Along the coast smaller as well as larger villages and towns string together and entice you to stay a while to visit their marinas, historic old towns, shops and sights. Very nice are especially the main city Faro with its old town and the Arco da Vila, Portimão with its picturesque harbour as well as Lagos and Tavira which both lure with pretty historic old city centres. 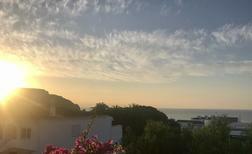 Right behind the Litoral, known as the Algarve’s coastal region, the mountainous Serra de Monchique and the Serra de Calderao tower up from the west and east respectively. The scarce populated Serra de Monchique offers a number of different activities which include climbing or mountain biking within a breathtaking landscape. Worth a visit are also the many small villages in the midst of the mountains or why not take a break at the thermal spa Caldas de Monchique. Behind the mountains you are able to find the equally charming Alentejo with cork oaks that this landscape is known for. 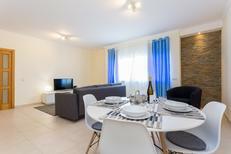 On atraveo you can also find a large choice of holiday domiciles in mountainous regions of the Algarve which are usually less pricy than comparable objects along the coast. The Algarve with its diverse landscape and all-the-year good climate is not only a very popular travel destination in Europe with “traditional” holiday makers but also with golfers. More than 30 professional golf courses can be found along Portugal’s southern Atlantic coast many of them having a long-standing tradition. Most of the courses have the standard 18 holes and are embedded in a picturesque landscape. From the tee-off you can usually enjoy a great view towards the Atlantic, the spectacular valleys or the hills and mountains of Monchique which form the backdrop of the Algarve coast. 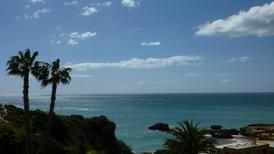 It is recommended when coming to the Algarve to travel by plane. There are direct and chartered flights to Faro Airport from all over Europe. An alternative travelling option is via Lisbon where one can take a train or hire a car. 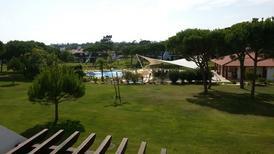 Generally it is a sensible idea to opt for a hired car when spending a vacation along the Portuguese south coast. This does not only make it easier to reach your holiday home but also gives you independence whilst on holiday for trips into the mountainous region or along the coast.